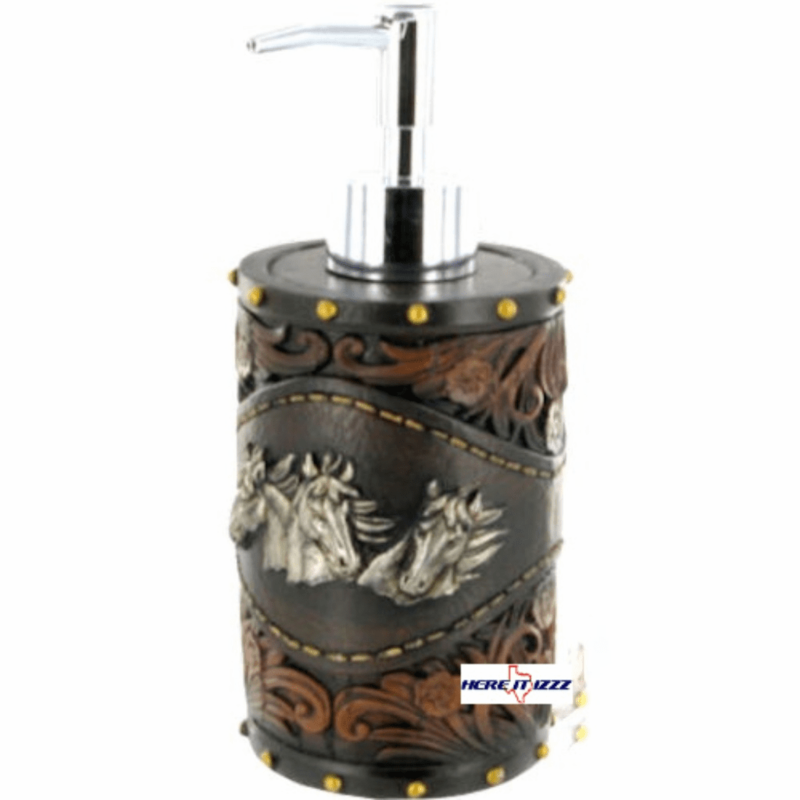 Super looking equestrian design bathroom collection. 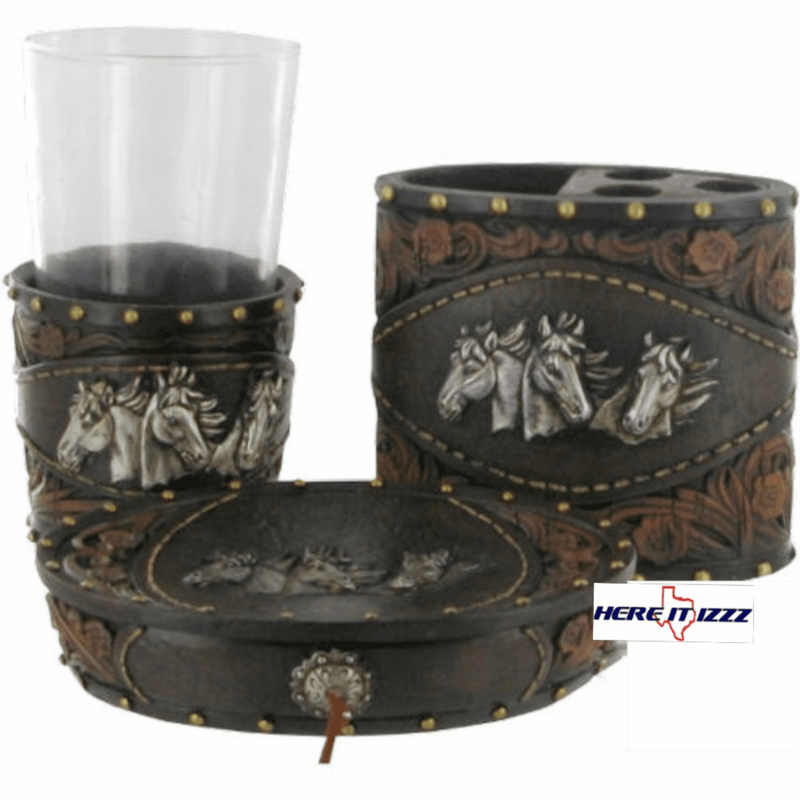 Each of these horse items has a western look of stamped tooled-leather. 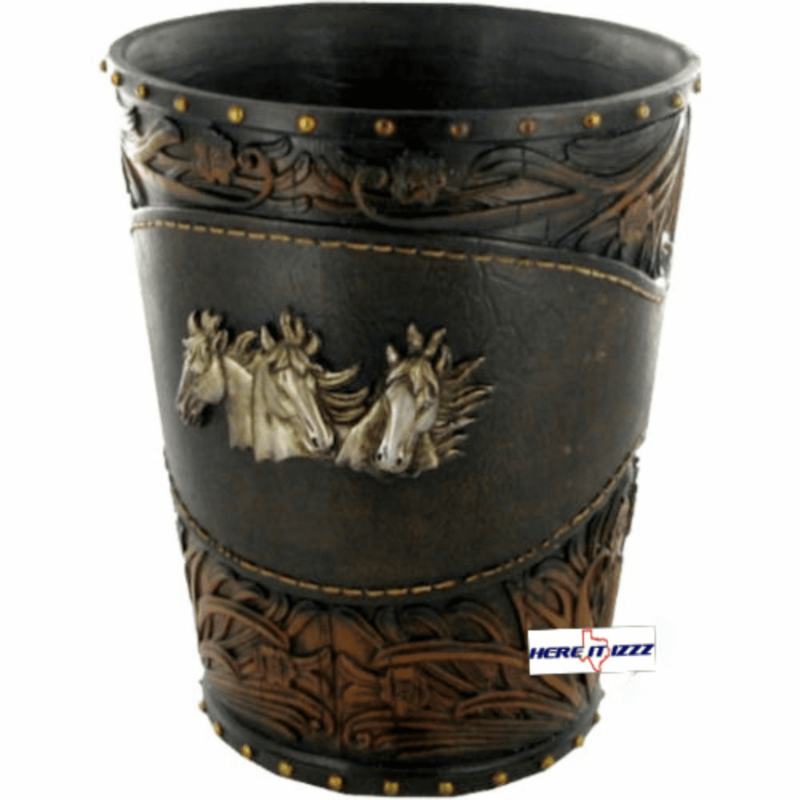 Great way to spruce up the country house or the horse barn your guests will enjoy the Beauty. 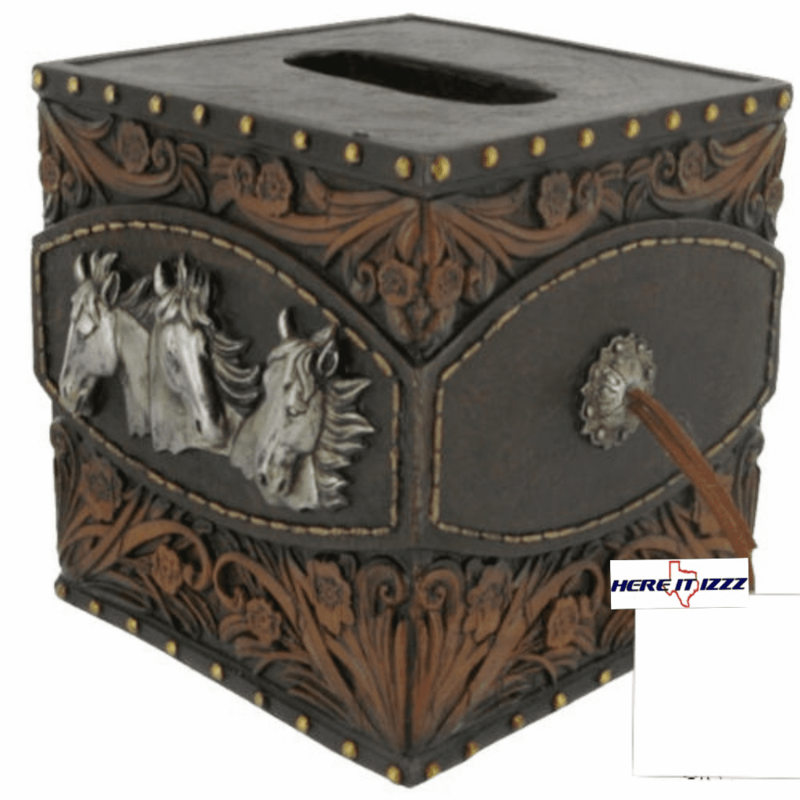 Each item in this bath collection has an embossed triple Wild Horse medallion. 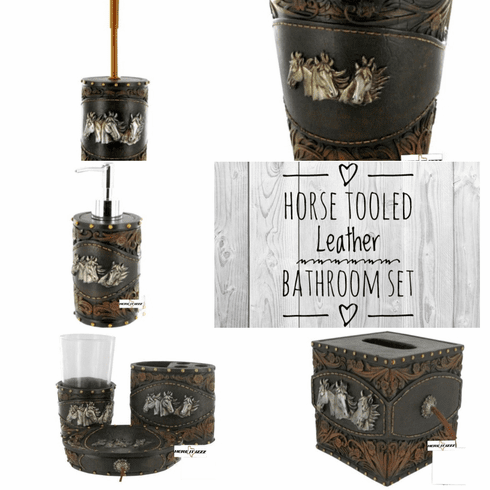 Western Wild Mustang Horses Bathroom Set includes Soap Dispenser, Soap Dish, Mouthwash Cup, Tooth Brush Holder and Toilet Brush Holder and a Small Wastebasket •Made of resin.